Research area:Management of rainwaters in urban drainage systems, Management and removal of solids from sewer systems, Simulation and management of water supply systems, Optimal design of water distribution networks, Protection of water distribution networks from contamination events, Numerical modeling of shallow waters and solid transport in rivers, Application of statistical methodologies to problems of Hydrology and Hydraulic Infrastructures, Analysis of the demand in water distribution systems, Optimization of irrigations networks. Enrico Creaco obtained his PhD in Hydraulic Engineering in 2006 and has researched topics pertinent to water and environmental systems for over ten years. His career began at the Universities of Catania and then Ferrara, Italy, and he obtained an Associate Professor Qualification in the Hydraulics, Hydrology and Hydraulic Infrastructure Sector in December 2013. From May 2014 to June 2015 he took up a Research Fellow post at the University of Exeter and became Assistant Professor at the University of Pavia in September 2015. 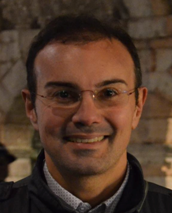 He has been Associate Professor at the University of Pavia since September 2018. Since 2016, he has been Honorary Senior Reseach Fellow at the University of Exeter and Adjunct Senior Lecturer at the University of Adelaide. In September 2018, he obtained the Full Professor Qualification n the Hydraulics, Hydrology and Hydraulic Infrastructure Sector. He has been lecturer on hydraulic infrastructures at both undergraduate and postgraduate level and have published more than 50 papers in a variety of Scopus and ISI indexed international journals. He is Associate Editor of the Journal of Water Resources Planning and Management-ASCE and participated in/coordinated various national and international research projects. He is member of an European Action Group of EIP (European Innovation Partnership) on Water, titled CTRL+SWAN (Cloud Technologies & ReaL time monitoring + Smart Water Network) and of the academic spinoff MedHydro srl. Research interests: design and management of water distribution, sewer and irrigation systems; numerical modelling of shallow waters and sediment transport; demand analysis; protection of water distribution systems from contamination.